Can the Xperia XZ2 Premium rival the Samsung Galaxy Note 9? So, the Xperia XZ2 Premium certainly took its sweet time to arrive. The phone was announced way back in April and it will finally be launching on the 30th of July. And, you know, being the Premium Sony phone, it'll also have a premium price tag. More to the point — it'll cost you $999 to get that sweet 4K screen. We just reviewed the Xperia XZ2 Premium and, while we do like it, we are still not sure it'll convince a lot of people to drop $1k on it. To top it off, the Samsung Galaxy Note 9 is about to be unveiled in a couple of weeks and we can't help but feel that it'll steal all of the XZ2 Premium's thunder. But hey, we could be wrong. 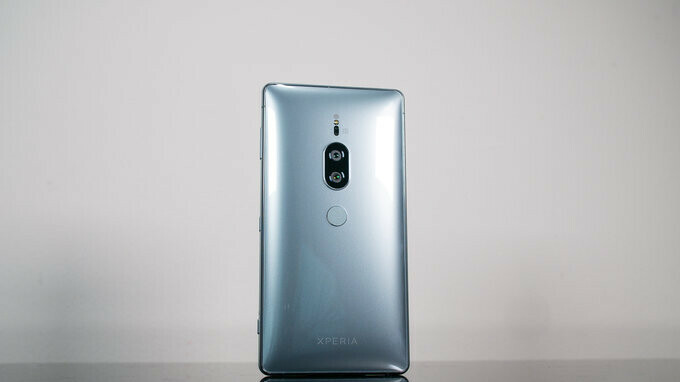 Do you think the Sony Xperia XZ2 Premium has any chance vs the Samsung Galaxy Note 9? Would you get the Xperia XZ2 Premium or would you rather wait for the Note 9? Xperia XZ2 Premium all the way! Sony’s gonna have a hard time convincing the public to buy into the 4K res screen again. Have they even found a way to justify the need for a 4K screen despite the lack of supported content available? Why haven’t they just decided to make this phone the next-gen of PSP...Yet? There’s no “need” for a lot of things on mobile phones, but they’re there. Just like every other Android, it’s a spec sheet bump. Something to add to the list of feats that Android manufacturers accomplish on a device so small. VR apps with an appropriate headset can take full advantage of that 4k display. Plus with more and more AR apps arriving every week. Some AR apps can take advantage of a VR headset by using the rear camera to display the real world with mixed graphics. This stuff is already here today. If your in the Apple world, then you would probably say there is no "need", but there certainly is a need. Why do you think LG, Samsung, Google and a number of others are working on displays with 1400 DPI or 2200 DPI displays. Apple was an idiot when they said you don't need resolutions higher than Retina, which was 326 DPI. Look today with their iPhone X with a DPI of 458. If higher densities are not needed, then why is Apple following Android? @sgodsell And how can the VR apps take full advantage of the 4k display if the phone isn't VR supported? And with the curved back on the 2018 phones. How can it fit on the VR headset without scratching it after too many instances of placing it on and off the headset? - Faster performance - Faster updates ( android p in september/october) and 3 years of security. - Wider colour gamut screen, BT2020 certified and all vids played as HDR. - Better super slow-mo, 4K HDR, better vids with higher bitrate, limitless 4K recording - Better photos from.rear and front - Better audio ( should have jack) - Argumented reality - Battery care / qnovo - No need to crop vids while watching - Cheaper For me 32GB is enough , but I think it should have 128GB for the price. Both do not have nice design. One is a pillow , the other is TV control. I said 32GB is more than enough for my needs. It is a small difference ; but still useless. Most of the people still have a 1080 TV ; but sony its using a 4k panel for a tiny phone ; this is hilarious. This is technology. Manufacturers are striving for better everything. We'll have to wait for both phones to hit the shelves to see which is better but they are rivals although Samsung will probably sell much more even if it's the lesser phone. So far the testing of the xz2p are making it worth the 1000$ (900€ here) more than the s9 did. 3 years of security updates? LOL! Stop lying! Id choose third option.. Both will not sell well when you can get normal and easier phone to handle at third of the price. I do root for Sony but after having my xz1, i don't think i would go bigger than 5.2 inches screen (16:9) again. Xz1 screen is enough. Sony xz2 premium all the way!!!! But I think sony xz3 should be eaven better. The XZ2P has a 4K screen... The size of the battery doesn't matter, moreover Samsung this year is not that great in terms of battery life. And the XZ2P also has a SD card reader and 6GB of RAM. As I said, the S Pen and the Jack are the most noticeable differences between these two, but the camera itself is enough for me to go with the Sony. S Pen and jack over useless 4K screen anytime for me. I need 4k resolution on my laptop or TV, but on my phone it doesn't make any sense. Regarding camera, it's yet to be seen what note9 has hidden under it's sleeve. Of I'm going to spend 1k between these two, I'll go with the Note 9. At least the S pen got useful features that would benefit the buyers who will need them and it got some interesting tech if the rumors are true. On the other hand the Sony got a 4K screen and and a superb low light camera.... And that's about it. I don't think the Sony is worth the 1K price tag IMHO. Both are not worth 1000$ . s9 and note 8 is around 500$ now. "Can the Xperia XZ2 Premium rival the Samsung Galaxy Note 9?" Sadly, no. What Sony should do is release it on all US carriers and promote promote promote!! The hell out of it on TV commercials maybe just maybe it will succeed here. Stop with all this unlocked only crap , release it on all carriers with a reasonable price . Wow! I never expected to see a tie! let alone never expected to see how much support XZ2 Premium received here. How I just wish it'll translate the same in sales figures..